Bee pollen is the minute pollen granules collected by honey bees that is mixed with nectar and bee saliva, stored in the hive, then used as a source of food for the bees in the colony. Every variety of flower requires pollen, of which there are two types. 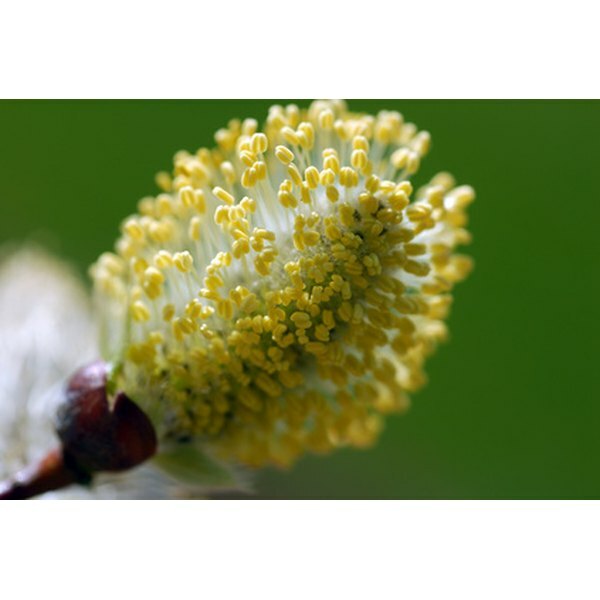 Airborne wind pollen, or anemophile pollen, is responsible for hay fever and allergies. Entomophile pollen, the kind that bees collect from flower blossoms, is the pollen that humans consume. Although no scientific evidence supports claims that integrating bee pollen into your diet promotes wellness, anecdotal evidence abounds to promote its use. Bee pollen is available in powdered forms, granules, tablets and capsules. If you want to start taking bee pollen, consult with your physician first. Bee pollen boasts an impressive nutritional profile. Chemical analysis completed by research labs across the globe demonstrate that bee pollen is approximately 25 percent complete protein. According to “Royden Brown’s Bee Hive Product Bible,” bee pollen contains all essential amino acids, 12 vitamins, 28 minerals, 11 enzymes and coenzymes, 14 beneficial fatty acids and 11 carbohydrates. It is also a powerful antioxidant. Bee pollen is as nutritionally complete as any single food on the planet can be. Therefore, bee pollen to your diet may help eliminate nutrient deficiencies in your diet. Over time, daily consumption can increase your overall energy. Unlike caffeine products that boost energy rapidly by stimulating your adrenal glands, bee pollen does not rely on tricking your body into producing a chemical to give you a temporary boost. Instead, bee pollen provides natural energy by supplying nutrients that had been missing from your daily diet. Bee pollen may also boost the immune system. The antioxidants in bee pollen act as a natural protection against any toxins your immune system encounters. According to the Centers for Disease Control and Prevention (CDC), you are exposed to more than 200 radioactive toxins and 60,000 chemical toxins each year. Toxins stress the immune system and decrease antibodies, red blood cells and nutrients. Bee pollen counteracts can reverse this stress and restore healthy levels. Integrate bee pollen into your diet as part of a holistic approach to treating any condition that is difficult on the immune system and is known to thrive on toxins. Anecdotal evidence supports claims that bee pollen provides relief for allergy symptoms. Its use to treat allergies is similar to using a vaccine to guard against disease. As registered holistic nurse Angela Ysseldyk explains on her website BeePollenBuzz.com, “When you put a small amount of the seemingly harmful irritant (bee pollen from local flower pollens) into your body, your immune system builds defenses or immunities against the foreign substance.” If you've never used it before, at first take bee pollen in very small amounts to prepare your immune system. As your tolerance increases, you can slowly increase your intake. Begin bee pollen supplementation before allergy season or make it part of your daily routine for successful allergy treatment. Using bee pollen topically can promote healthy skin. Found in a variety of skin care products, bee pollen softens skin, treats eczema, reduces acne and soothes diaper rash. The abundance of nutrients in bee pollen nourishes and protects the skin. Dr. Lars-Erik Essen, a Swedish dermatologist, notes that “external use of bee pollen stimulates cell renewal with its high concentration of the nucleic acids RNA and DNA.” Essen also reports on the anti-aging effects of bee pollen. He says that bee pollen promotes increased blood flow to guard against dehydration and smooth away wrinkles. Bee pollen consumption complements topical bee pollen usage. Anne Shirley studied journalism at Northwestern University and has been writing professionally online since 2010. She writes website copy, press releases, blogs and marketing materials for cycling advocacy nonprofits, professional cycling teams and individual athletes. A Boulder transplant by way of Chicago, Shirley can often be found writing in coffee shops that offer her a view of the Flatirons. Can a Baby Have a Cinnamon Allergy?